Lock away your heart. In Italy. 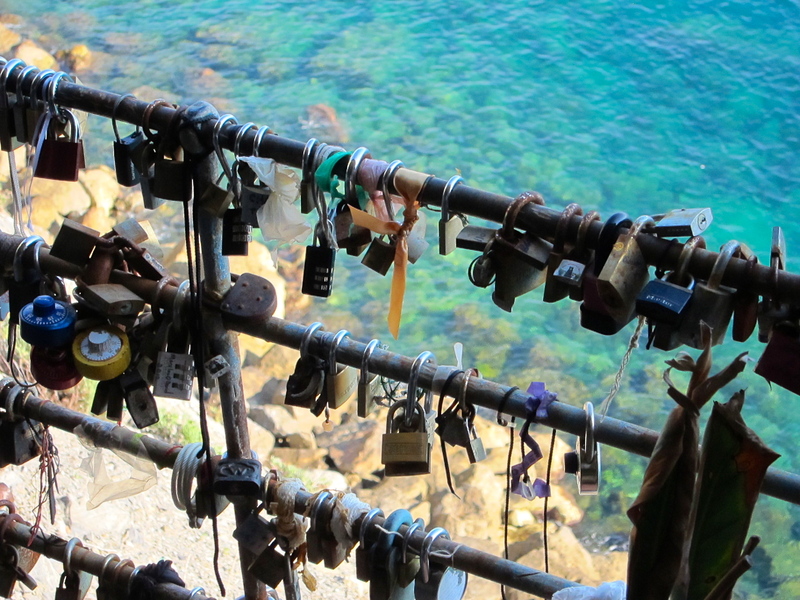 Beautiful locks of love found on the Via dell’Amore in Cinque Terre, a beautiful pathway that hangs on the cliffs of the Liguran coastline and connects the two towns of Riomaggiore and Manarola. I took this picture in May of 2012. Was this an outgrowth of a popular film or book? I seem to remember something about it in a vague way. You might be right Emily….